Well, this is bizarre. Bachelorette contestant JJ Lane created quite a stir on Season 11 of the reality TV show and was one half of the “Brokeback Bachelor” storyline with fellow suitor, Clint. In the end, JJ and Clint had a major lover’s quarrel – and eventually both guys were dumped by Kaitlyn and sent home. 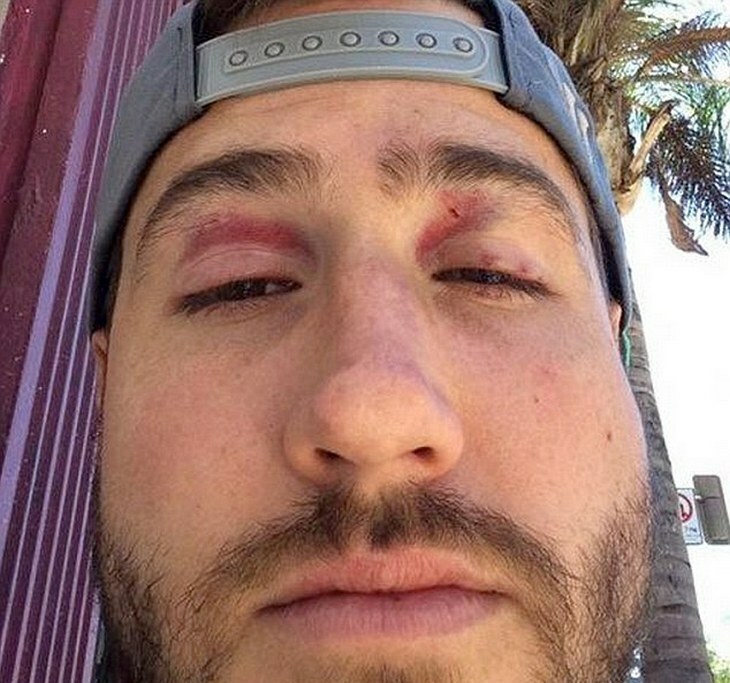 But, JJ Lane’s bad luck didn’t stop there, apparently he was jumped by a gang after leaving the “Men Tell All” after party on Saturday July 11. We’re still trying to wrap our minds around why a gang would be hanging out at a Bachelorette cast party, or why no one at the party called the cops and reported the incident. But, according to TMZ JJ walked out of the party and was jumped by at least “five thugs.” The brokenhearted Bachelorette contestant was then taken to the hospital because he had a concussion. Beefy Ben Zorn rushed out of the party and was able to single-handedly fight off the five gang members and save JJ from the brutal attack. So strange. JJ Lane got under a lot of people’s skin on The Bachelorette, but apparently the lean mean LA gang members were also not happy with Kaitlyn Bristowe’s ex.